Right now, we are hard at work writing Season Two, with three episodes written and the rest outlined and in progress. Thank you to the sixty actors that showed up for our auditions back in May, we are in the progress of casting and will be in touch individually as we start recording. Our goal is to begin recording the first three episodes in October. In the meantime, it’s a perfect opportunity to binge Season One, which has already been listened to over 3,000 times by fans all over the world. 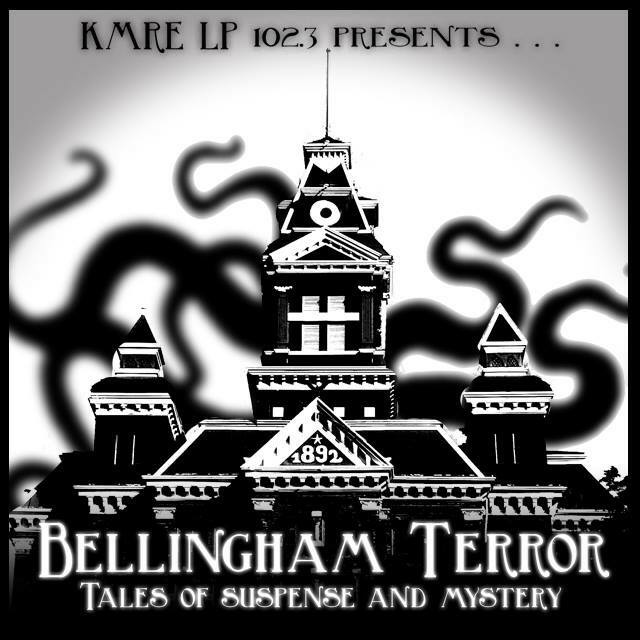 Thank you, as always, to our station, 102.3 KMRE-LP here in Bellingham and we look forward to bringing you the very best in original radio dramas here in the next couple of months. So you’ve listened to Season One a couple of times and are ready for more? So are we. The team that brought you Bellingham Terror is hard at work on the next installment. Right now, we are producing a holiday special, due to come out in December 20th. It will be streamable here at BellinghamTerror.com and broadcast at 102.3 FM Spark Radio. We are also writing Season Two. We’ve had a great response so far and are shooting for another 10 episode season. If you are interested in getting involved as an actor or sponsor, shoot us an email here. You can also get the latest updates through our facebook page here. An ancient curse strikes Fairhaven High School while June and David struggle to hide their double life from David’s family. Will it be too much to handle? Find out in “Winter Heat”! Taking the initiative, June and David infiltrate a society fundraiser at the American Theatre but quickly realize they are in over their heads. Will it be curtains for our heroes?